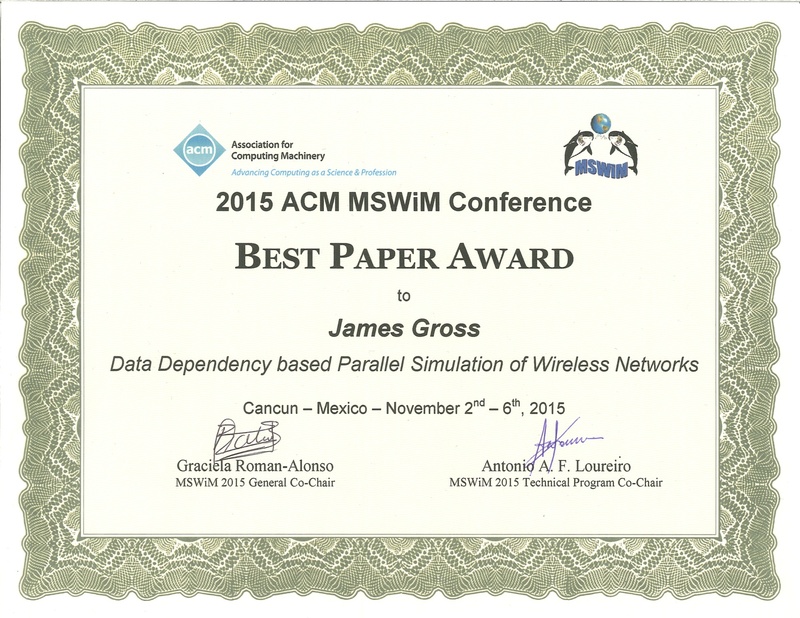 At ACM MSWiM 2015 we presented this year the paper “Data Dependency based Parallel Simulation of Wireless Networks”. This work deals with a new approach for speeding up network simulation in general, by taking data dependencies between simulation modules into account when it comes to event processing in the simulation core. It turns out that this more or less unexploited degree of parallelism in network simulation can lead to drastic run-time improvements, when traditional speed-up methods fail to provide improvements. We were very happy to receive the best paper award for this paper at ACM MSWiM 2015 !